I’ve recently begun tweeting for my employer, which is a supplier in the vast global travel industry. Despite the fact that the travel industry is struggling along with the rest of the worldwide economy, there is no shortage of twitter fans among travel suppliers. I feel safe saying there are thousands of airlines, cruise lines, hotel chains, resorts, tour companies, travel agents, destinations, experts, bloggers, journalists and pundits of every stripe tweeting on every aspect of the travel industry. Twitter is a great sales tool. 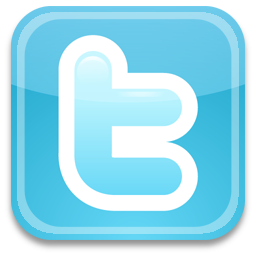 If you have prospects, see if they are on twitter. You can follow their tweets, learn a lot about them and even create a relationship with them. Listening is as important as tweeting. I’ve learned a lot about my industry from reading the tweets of the many people I’m following. Listening to tweets is just as valuable as sending them out. Own a niche. Tweeters who own some niche in the industry are seen as a valuable resource and have no trouble getting followers or having their tweets re-tweeted. Twitter is a conversation. Some people think Twitter is a publishing tool. It’s actually a tool to hold conversations and build relationships. Use it that way. Put some personality into your tweets. I think there’s nothing worse than the corporate tweeter who just posts the occasional sterile information and offers no personality, no humor, no sign of being a human. Don’t be that guy/gal. Hashtags work. Hashtags are search tools that help others find your tweets. My favorites are #traveltuesday and #followfriday. These hashtags are day specific and you can find people to follow and generate followers for yourself. Most industries have a standard hashtag, ours is #travel. Thanks for reading and happy Tweeting. What the hell is tweeting anyway?? Is that like the coconut wireless?